So the first principle of blended learning, I believe, is to design around maximizing student motivation. That means resisting the stubborn urge (exacerbated by the proliferation of new edu-vendors) to think about iPads, platforms, and “station rotations” until way further down the design road. Seriously—ignore those at first. They will only get in the way of truly designing around student success. Let me tell you what this looks like at one stand-out elementary school. Acton Academy in Austin, Texas is one of America’s more out-of-the-box blended-learning schools. The disclaimer is that it’s an independent school and we enrolled two of our children there this year because we so love its model, but I don’t think that changes the story. The first classroom is scaling to 36 students, grades 1-5 combined, and Acton will replicate this with several more classroom pods of the same size, plus middle and high school pods. Acton’s founders designed the school one subject at a time, always beginning with the question of what approach would help students get into that zone where they are motivated, self-directed learners. They decided that for math, the best bet was online learning. Often math is not intrinsically motivating when it’s still at the elementary stage of learning the basics—the concepts associated with drill and kill. So Acton turned to programs like Dreambox, Khan Academy, Mangahigh, and ST Math because software brings the game-like quality to math. Plus, it helps students hover right in that sweet-spot zone of proximal development, where the next task is neither too hard nor too easy. Online learning seemed like the obvious starting point for math. They then decided to implement the math with a flex blended-learning model. Guides are on-site to provide immediate help, but they let the software be the starting place for content and instruction. Why interrupt students right in the middle of their flow to force them into a station rotation if the students are focused, engaged, and evidencing strong progress? A less thoughtful group of designers might have then begun scouring the market for the right online program for other core subjects. Acton’s founders resisted. They began with their first principle—student motivation. For reading, they hypothesized that nothing develops a love of reading more than, well, reading!—plopping down on a soft beanbag for enough time to get really into a great book. So they took a gamble. They decided to let students choose absolutely any (appropriate) reading material they wanted—novels, nonfiction, comic books, Wikipedia, the back of cereal boxes for all they cared—and allowed reading time to be entirely a free-read session. No book reports, no teacher lectures, no plot diagraming. But those things are important, you might protest! Remember that Acton believes the battle is lost or won in student motivation. Take these early readers, teach them to absolutely crave books, and the rest (such as important literary criticism skills) will come so much more joyfully later. How do guides know if the students are reading and making progress? “It’s easy when you’re actually there,” the lead guide Kaylie Dienelt Reed told me. “Anyone can tell if another person is absorbed in a book or just flipping pages and not engaged.” Sometimes Acton uses resources like TuneIn to Reading to offer targeted help, but rarely have they been as successful as the free-read. Another concern is the younger children who start Acton without great reading skills. But the mixed-age classroom helps with that, because Acton uses its older students as reading buddies to sit with the younger students until they are ready to free read alone. What’s most motivating for science? So far, Acton has found hands-on, group-based (not teacher-led) tinkering projects to build the most love for science. Spelling? Self-directed study to earn an Excellence badge in spelling. Keyboarding? 10FastFingers and other online programs. Acton delivers all these subjects with a flex-model mentality, even if all do not involve the online modality. Guides support, troubleshoot, and provide context, but they never lecture or impose a standardized pace. The most amazing outcome at Acton is that students there are genuinely enthralled with learning. Simply said, they LOVE school. This week, 100 percent of the parents and students gave Acton a 5 out of 5—the highest score—on the weekly survey. After reading time, guides have to beg students to put down their books. For math, students keep winning Mangahigh contests—against high school kids in other schools. The number one complaint in the student surveys is that they wish they had more time for history. Not to mention other results, such as students on average jumping more than two grade levels on the SAT 10 test in a year. The authors of Disrupting Class say that motivation is the catalyzing ingredient for learning. I wish we could all take a collective breath from the frenzy of finding the right blended-learning platforms and tablet devices. Begin with timeless wisdom about how to help students learn and love learning, and then build the blended-learning implementation from there. 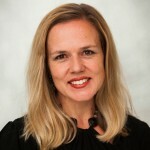 Heather is an adjunct researcher for the Christensen Institute and president of Ready to Blend. She is the co-author of Blended: Using Disruptive Innovation to Improve Schools and co-founder of Brain Chase Productions, which produces online-learning challenges disguised as worldwide treasure hunts for students in grades 1-8.